Paste There are 2 products. 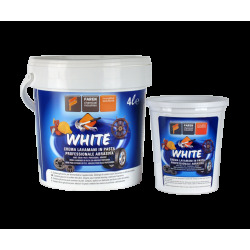 WHITE CREAM PASTE White paste handwash for professional use. Specific for heavily soiled hands TWO products in ONE. Exceptional Handwash + Protective cream. With abrasive agent. Packaging available: 1-4 kg. 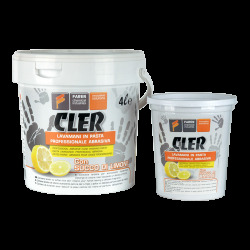 HANDWASH PROFESSIONAL PASTE WITH ABRASIVE Top quality handwash paste to clean your hands during mechanical work, in industry and in DIY. No contraindications With lemon juice. Packaging available: 1-4 kg.